After extracting pupae from one rather beat-up conk I checked out another conk that had always felt too hard and solid to contain larvae. Well, that was then. 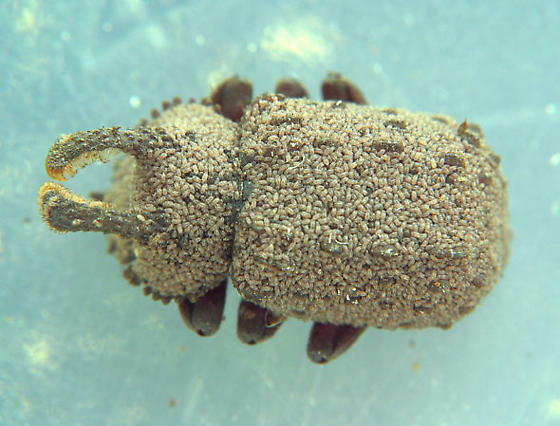 Now the conk was rather spongy and pliable so I cracked it apart and found it was loaded with pupae, a few larvae, and several adults including this male that is absolutely covered with very tiny mites.